was designed to bring attention to the importance of education-based athletics. The book InSide Out Coaching by former NFL player Joe Ehrmann was, and still is, a key component to “Why We Play.” As part of this initiative, the difference between transactional coaching and transformational coaching was revealed. Transactional coaching is based on performance. It is all about results and focuses solely on what will improve an athlete’s ability: skills, competency, techniques. The ultimate focus of a transactional coach is winning, and ultimately him or herself. Transactional coaching is all about achieving goals. developing the whole person. A transformational coach not only develops the skills and techniques needed to be a better athlete, he or she also focuses on building essential moral character: respect, sportsmanship, humility, integrity, kindness, loyalty. Transformational coaching is all about achieving a purpose. As part of the MSHSL continuing education requirements, coaches must renew their status every three years. This took place this summer, and will be required again in 2020. As part of this process, coaches review the performance and moral character traits, ultimately writing a transformational purpose statement. This statement reveals why a coach coaches. It is about coaching with a purpose. 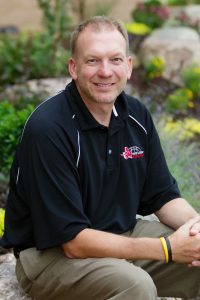 My transformational purpose statement is: “I lead so that those in my programs learn essential life lessons, build lasting relationships, and make a positive change in the lives of others and their community for the sake of the Gospel.” Each of our coaches, regardless of level, paid or volunteer, has completed a statement. Feel free to ask your coach what his or her transformational purpose statement is. Each of our coaches is coaching with a purpose in mind, one that ultimately benefits our school’s most precious commodity, the next generation of Christian leaders.